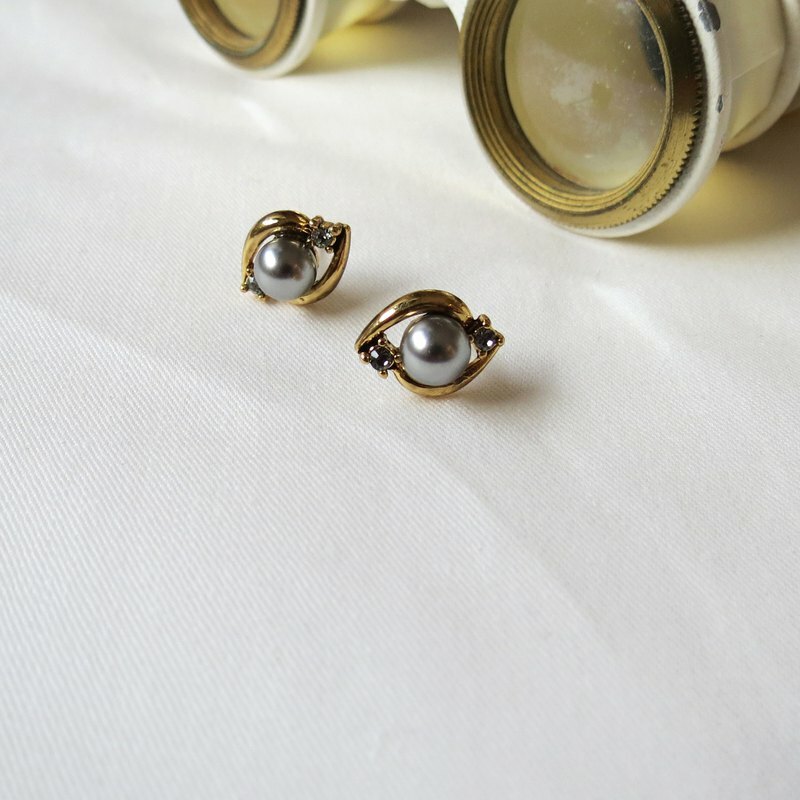 The pearls are like eyes and there are two Swarovski rhinestones next to them, but it is hard for them to ignore them. /size/ # width about 1.2cm # Ear ear clips can be customized - / Material and production / #black label vintage jewelry Swarovski materials, natural stones, crystals, brass alloys, A jewelry model for early Taiwanese processing Construction methods such as washing, polishing, drilling and replating Repair or refurbish it. - / Maintenance Information / # Jewelry Please avoid contact with hot springs, sea water, perfumes, shower gels and other chemicals. When it comes to sweat, it is advisable to remove the jewelry and clean it with a clean cloth. # The texture of metal oxidation is mild and introverted. If you like the original gloss, it can be placed in the clip chain bag to delay oxidation when it is not worn. #Slight oxidation can be removed with silver cloth or copper oil. Silver or brass jewelry can be soaked in silver wash water for 3 to 5 seconds to restore the original luster. # The electroplating jewellery adopts vintage black wash, and the black wash mark can be wiped off with gentle light water. - /Purchase Notes/ # Hand-made period is 7-21 working days #Photos are taken in real products. Due to computer chromatic aberration, shooting light, or the definition of personal perception, it is inevitable that there are chromatic aberration problems. #Product quality We do our best to check, but natural stones, pearls and other natural materials, each color and cutting shape are not the same, a unique feature is the charm of natural materials. # The uneven black marks of the galvanized jewelry are retro-washed.